The GIRL GANG series by Jenna Madonia Photography is an independent photography project celebrating the lives of women. The project is coordinated and produced by women in the Louisville, Kentucky/Southern Indiana area. The first series in the project entitled "ICONIC" gives a platform for women in the community to highlight and discuss their personal feminist heroes. Each woman has a spotlight with their portrait projecting the characteristics and imagery of their icon, along with a handwritten testimonial about the icon they chose and how they impacted their lives. These spotlights will be collected in a 50+ page photo book gallery for publication and distribution in early 2019. Visit the GIRL GANG: ICONIC series website, where you can check out the photographer's blog and preview behind-the-scenes photos and videos of the project as the series progresses. There are no publishing companies or agents giving financial backing to this project. GIRL GANG is a completely independent, women-driven collaboration. For this project to come to life, your donations and support will help fund publication, photo printing, book distribution, and other costs associated with independent production. 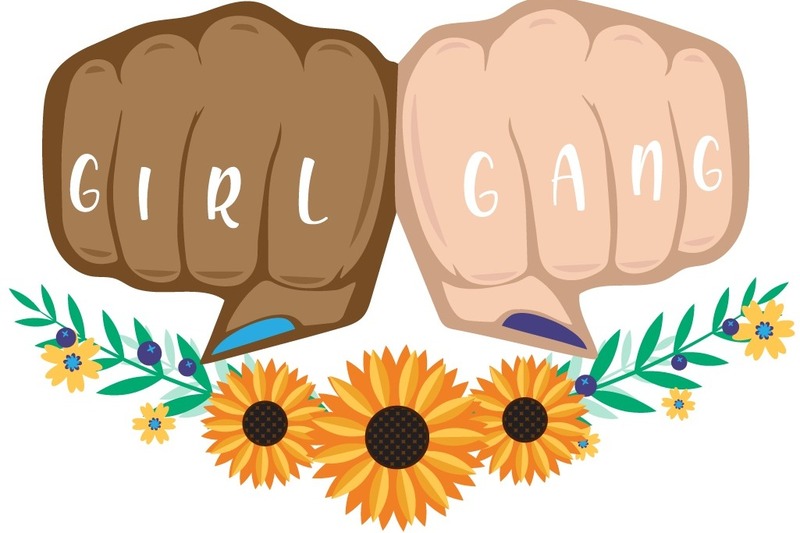 You can also wear your support by purchasing GIRL GANG merchandise from Jenna Madonia's Etsy store . 100% of all donations and merchandise proceeds directly fund this project. Day 2 of shooting for the book went amazing! Keep an eye out for behind the scenes videos and blog posts coming in the next few days!